If you are serious about airsoft, investing in gear that lifts your performance should not need much thinking. Chronographs are regarded as an airsoft shooting accessory and an essential piece of gear. If you want to know how you are shooting and improving your game then using a chronograph regularly is just as important to the sport as googles. Chronographs are your perfect workbench companion. They play a vital role in measuring velocity of a BB or Paintball and assist in determining the speed of your gun, i.e. whether the shooting is too slow or fast. This is rather important if you want to graduate beyond being just another paintball shooter. Today, we are discussing the top shooting chronographs that have won acclaim across the global airsoft gunning community. Before reading through our selection, you might want to refresh yourselves with chronographic basics—something we feel is often ignored! An airsoft/shooting chronograph is essentially a performance evaluation tool. It plays a vital role in diagnosing shooting problems, including load development. Velocity of BBs or paintball is one of the major contributors in a shooter’s performance. Guns that shoot too slow or fast are a serious tactical disadvantage. Those that fire a bit too quickly also present significant danger to fellow gamers. A shooting chronograph is a precision device that efficiently measures velocity of a high-velocity projectile. An intelligent corrective toot, it allows shooters to introspect their BB behavior, helping them improve their score. Normally positioned at 13 feet to 15 feet distance from the gun’s muzzle, the chronograph is a great way to find out if your airsoft gun actually delivers the manufacturer advertised FPS or, if you need to replace it. The chronograph is rather easy to operate. There is no major set-up process involved. You just need to be careful about where it is positioned. Every time a paintball, pellet, or BB is shot, photoelectric cells of the chronograph get into the action, setting off the high-speed crystal oscillator (or clock). The two photoelectric cells are set apart at a measured distance. Characteristically, these clocks count at about 0.25 microseconds or 4 mhz for each pulse. This basic travel and distance calculation works rather precisely, calculating the speed of paintball or BB gun at the muzzle. This method uses the doppler effect and radio waves to measure velocity with even greater precision. The distance-time chronographs are comparatively lesser priced. Radar-based chronographs are the more recent, technological upgrade. Review: The ProChrono Digital Chronograph by Competition Electronics accurately measures velocities of firearms, air guns, and airsoft guns. 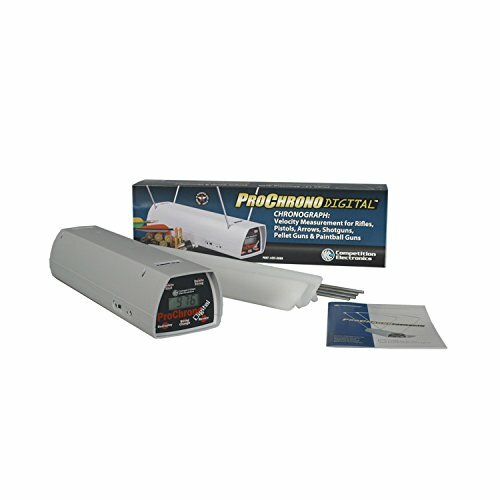 It comes with a 4-digit clear LCD readout equipped with feet per second (fps) or meters per second (mps) measurement. This Digital Chrony is power driven by a 9-volt alkaline battery. It can easily store 9 strings of up to 99 shots per string in memory that can be deleted one by one or entirely via single touch. 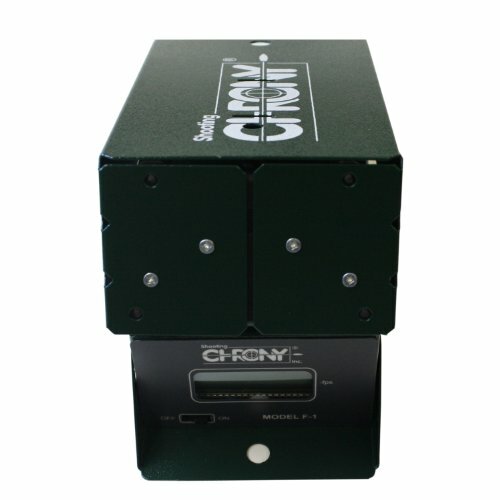 Owing to its accurate lighting, this Digital Chrony is a must-have for both indoor and outdoor shooting competitions. 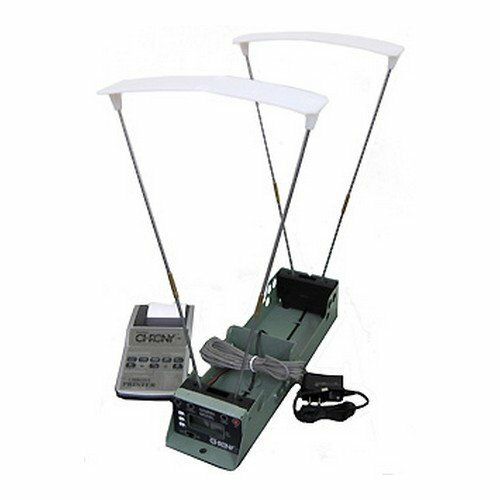 It records shot string, average velocity, standard deviation and extreme spread. You can use it for premier Action Pistol Championships in the world like Bianchi Cup events. It just takes a fraction of a second to display speed of particular shot. ProChrono Digital Chrony is easy to operate. You simply have to set it up at about 5 feet or more on a tripod in front of the firing line. Just turn the switch on, press a couple of functional buttons and fire at will! Review: This is perhaps the most preferred Chrony for shooters who are very serious about their re-loading—hunters. Well-designed, this Chrony measures the muzzle velocity speed of airsoft, arrows, airgun pellets, shotguns, paintball and other projectiles with equal ease and precision. It is designed to work outdoors or where there is satisfactory lighting. In addition to optional Chrony Ballistic Printer, this chrony also has a jack. It offers numbered shot velocities. Cost-efficient, this Shooting Chrony gives remarkable accuracy—more than 99.5%. It measures the speed of projectiles from 30 fps to 7000 fps. A popular FPS chronograph, it is simple to use and easy-to-carry. Team the durable chronograph with tripods for better result. 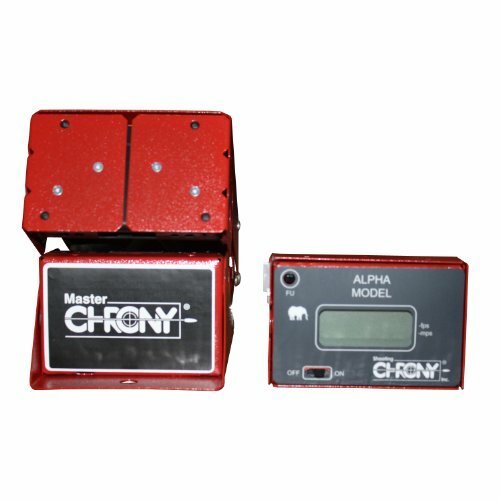 Review: Simple to use and high on performance, the Shooting Chrony Alpha Master can measure speeds for air guns, airsoft, arrows, airgun pellets, shotguns, paintball and other projectiles. You can view from it the highest, lowest, and the average fps, the spread between the highest and lowest fps, and the standard deviation between fps. This chronograph registers the fps manually one-by-one, up to a string of 32 shots. On turning off, the record is automatically deleted—a great accessory for anybody serious their shooting arsenal. You simply have to connect the screens, power it and fire. Cost-efficient, this chronograph is the most relevant option among entry-level chronographs. Review: Sleek, streamlined and efficient power consumption—key traits that best describe the Competition Electronics Pro Chrono Pal. It is among a handful of highly recommended chronographs that exceed your expectations in terms of getting a bang for your buck. Well-designed, the chronograph is capable of measuring shots from 22 feet to 7700 feet per second. 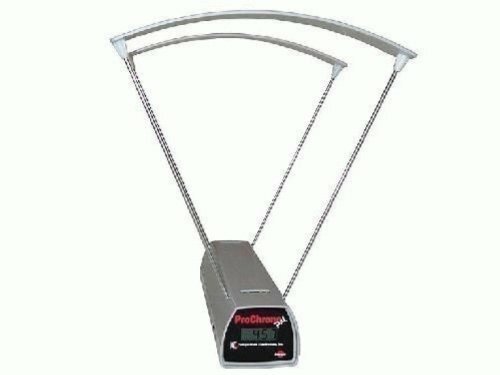 It also displays velocity of Shot String—high, low, or average. It is power driven by single, 9-volt battery. It is a great option for ballistic applications. Review: Simply put—this is one of the best shooting chronographs money can buy today! It even impresses with its design—sleek, one look at this Caldwell Chrono and you realize it has been engineered to impress. 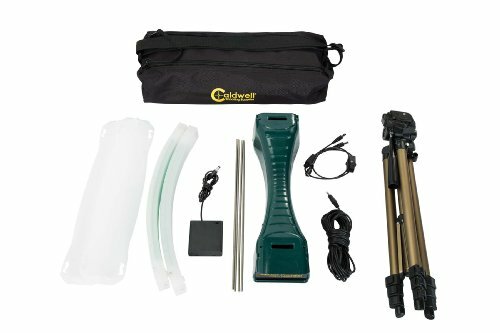 It is part of a very smartly packaged shooting equipment, well-equipped with every thing a shooter demands—ranging from mounting tripod to software that records output of shot strings, average velocity, and every single data put out by chronographs. We believe this is the most educated choice a seasoned shooter can make. Review: Another high-performance chronograph but without a major price advantage—Gamma Master chronograph measures velocities ranging from 30 feet to 7000 feet per second. Power-driven by a single 9-volt battery, it boasts of category leading durability. Constructed using solid 20-gauge steel, this chronograph is perfect for heavy-duty applications. This chronograph defies its appearance with its robust, lightweight structure. Further, you get a printer for logging your shot records. Whether you are getting started in the niche of airsoft or are quite an expert, chronographs are essential if getting better is your aim. Most options discussed here are cost-effective and versatile. There are some more propositions but this list focuses on mainstream, easily available and established performers. Thank you for visiting TacticalAirsoftMagazine.com. If we helped you in any way and you are going to purchase one of these chronographs please use one of our links above to go to Amazon and make your purchase. This site is part of the Amazon affiliate program and we recieve a small commission from Amazon with no extra cost to you for purchases made through our links. Thanks again for visiting. Do you have any preferences for the best shooting chronograph?